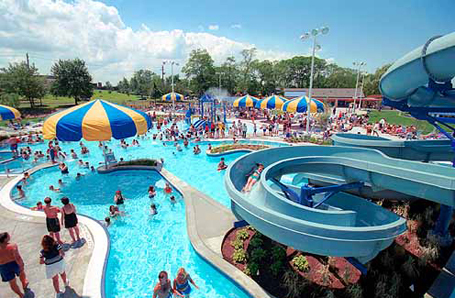 In July 2003, the City of Beachwood, Ohio, dedicated its new state-of-the-art Family Aquatic Center. This dedication was the culmination of one year of intense design and construction operations with the single goal of creating the most exciting, entertaining, multi-purpose aquatic experience the city could provide its residents. The limited schedule resulted from the realization that the city’s former 33-year-old pool was not in structural condition to re-open after the close of the 2002 summer season, and that only by executing design, demolition and new construction in the course of one swim season, could a new aquatic complex be open to the public in 2003. Fortunately, an audit of Beachwood’s recreation and park facilities had recently been completed by Schmidt Copeland Parks Stevens and Counsilman-Hunsaker. The decisions made during that audit jump-started the design process.